It's summer! Time for camping and outdoors bbq. Though I'm not the grilling expert, I earn my keep by making the rub and the glaze. This time, I used a simple recipe for cayenne pepper and rosemary rub brushed with maple glaze. It's excellent for chicken breasts. The rub was made quickly in the campground, so no measures were taken. The same goes for the glaze. Just mix up the ingredients in separate bowls. 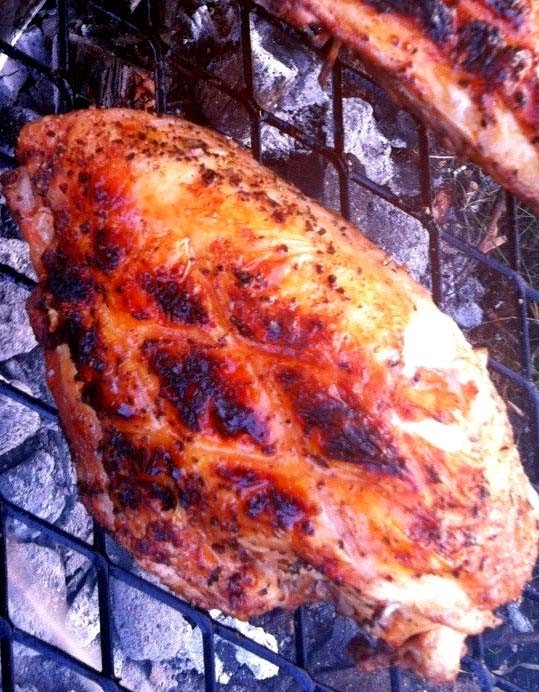 Apply rub to chicken breasts before grilling. Brush with glaze while cooking and also before serving. Fun stuff!